There has been a notable increase in contact center onshoring activity in recent years, according to new research from outsourcing consultancy and research firm Everest Group. In 2015, the percentage of contact center contracts with significant onshore delivery climbed to 53 percent, up from 49 percent in 2013 and just over a third (35 percent) in 2010. HGS, for example, launched its DigiCx platform, which incorporates automation and analytics to deliver chat-as-a-service and other self-service capabilities. WNS introduced RePAX,an automated, on-demand solution to help airlines better manage flight disruptions with minimal manual intervention. And TeleTech is selling Humanify, a software-as-a-service based customer experience solution and also acquired Revana AQ360, an integrated analytics platform for sales and marketing. While companies must pay more for onshore call center agents (offshore labor rates are typically 40 to 55 percent of onshore rates), increased automation has helped defray some of the extra expense of local labor. 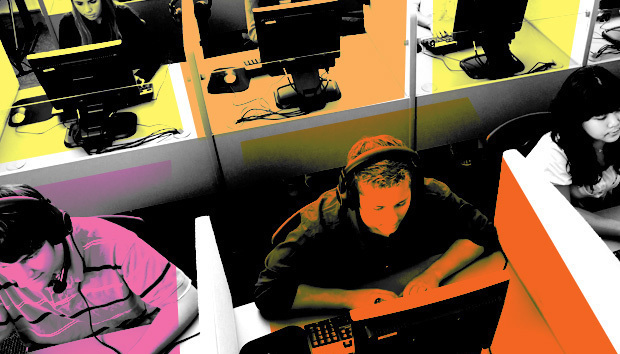 “While companies are ready to pay more for better quality services, increased technology leverage in a traditionally labor-intensive contact center space has offset some of the additional cost,” Bhargava says. In addition, companies are increasingly adopting a work-at-home model for agents, which incurs lower operational costs than onshore full-time-equivalents (FTEs). Work-at-home agents are typically 5 to 10 percent cheaper than on-site professionals in the U.S., Bhargava says. In the shorter term, more call center work will move onshore, according to Bhargava. But as offshore locations are able to attract and train the higher-level talent required to deliver effective chat services and other non-voice capabilities, offshoring will again increase its share of the call center work. The global contact center spend currently stands at between $300 and $320 billion dollars, of which 25 percent is currently outsourced to a third party, according to the Everest Group. Contact center providers have increased their share of industry spending in recent years, and Bhargava expects that trend to continue for a number of reasons. Enterprises already outsourcing contact center work will be renewing their contracts and expanding the scope to include work that previously resided in-house, he says. In addition, many enterprises lack the skills and best practices in-house to manage non-voice channels, value-added services (such as analytics), and automation, and will be looking to third parties for talent and expertise. Finally, Bhargava says, there should be increased contact center outsourcing in emerging geographies in the Asia Pacific region, for example, which call center services had experienced lower market penetration to date.